The commonwealth ranks among the top five states in the nation for referring students to law enforcement for school discipline issues. During the 2015‒2016 school year, Virginia schools issued over 131,500 out-of-school suspensions to over 70,000 individual students, representing an increase in the overall suspension rate for the second year in a row. In addition, students of color and students with disabilities were disproportionately suspended. Students who are suspended from school are more likely to experience academic failure, mental health problems, substance abuse, gang activity, and justice system involvement. Therefore, Voices supports school suspension reform and alternative discipline interventions as ways to reduce suspension rates and improve student behavior. Students with disabilities were suspended at rates 2.6 times higher than that of nondisabled students; African-American students were suspended at rates 3.8 times higher than Hispanic and white students. The short-term suspension rate increased in 2015-2016 after years of significant, steady decline. Virginia schools continue to suspend very young students at an astonishing rate, issuing over 17,300 short-term suspensions and at least 93 long-term suspensions just to children in pre-K through third grade. The vast majority of all suspensions were issued for minor offenses, with approximately two-thirds of all suspensions issued for behavior offenses like possession of cell phones, minor insubordination, disrespect, and using inappropriate language. Public schools; student discipline – SB170– Stanley – Prohibits students in preschool through grade three from being suspended or expelled except for drug offenses, firearm offenses, or certain criminal acts. This bill has been amended to allow up to three days of suspension for students in pre-k to third grade with the option for superintendents to extend if there are aggravating circumstances. The amendment also directs the board of education to define aggravating circumstances. Update: The bill passed out of the Senate and has been referred to the House Committee on Education where it received a favorable hearing as was supported unanimously and reported to the full House. Public schools; student discipline – HB296 – Bell – Is identical to SB170. This bill (did not include the amendments that were offered to SB170) died in full Education and Health. Student Discipline; long term suspension – HB1600 – Bourne – Reduces the maximum length of a long-term suspension from 364 calendar days to 45 school days. This bill was amended to add a long-term suspension that may extend beyond a 45-school-day period but can not exceed 364 calendar days if (i) the school board or division superintendent or his designee finds that aggravating circumstances exist, as defined by the local school board in a written policy, or (ii) the long-term suspension is preceded by another long-term suspension in the same school year. Update: This bill has crossed over to the Senate and passed the full Senate. It will now be sent to the Governor’s desk for approval. Student Discipline; Alternative Education Programs – HB688 – McQuinn – Requires local school boards to provide alternative education programs for suspended students. This bill died in Appropriations Subcommittee on Elementary and Secondary Education. See you next year! Places of confinement for juveniles – HB35 – Hayes – Provides that when juveniles who are determined by the court to be a threat to the security or safety of other juveniles detained in a juvenile-secure facility are transferred to or confined to a jail or other facility for the detention of adults, the adult detention facility must be approved by the State Board of Corrections for the detention of juveniles. Update: This bill passed out of the House and the Senate and awaits the signature of the governor! Alternative student discipline; assault and battery without bodily injury – HB15 – Mullin – Requires a principal to first take appropriate alternative disciplinary action or determine that no such appropriate alternative disciplinary action exists before referring to the local law-enforcement agency student incidents of assault and assault and battery without bodily injury. This bill died in House Courts of Justice. See you next year! Governor’s Budget – On Dec. 16, Gov. McAuliffe included $1 million toward the Virginia Tiered Systems of Support (VTSS)/Positive Behavior Interventions (PBIS). This is a direct investment in the Classrooms Not Courtrooms initiative by expanding this evidenced-based program to divisions with high rates of disciplinary offenses. Alternatives to Student Suspension, Expulsion, and School-based Delinquency Charges- Item 135 #6s – $2.4 million, chief patron: McClellan, co-patron(s): Barker, Dunnavant, Locke, Reeves, Saslaw, Stanley, Sturtevant. 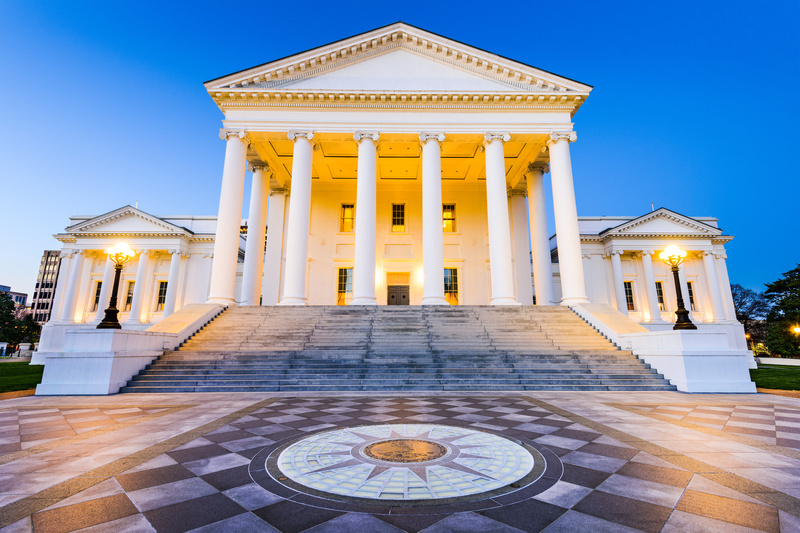 This amendment increases the funding allocated for Virginia public schools implementing evidence-based and evidence-informed alternatives to school suspension, expulsion, and referrals of students to law enforcement. Update: The Senate budget did not include this amendment. Virginia’s Tiered Systems of Supports – Item 129 #4h – $250,000, chief patron: Peace, co-patron(s): Richard P. Bell, Carr, Delaney, Keam. This amendment adds $250,000 additional general funds to Virginia’s Tiered Systems of Supports (VTSS) for teachers, administrators, and specialized instructional support personnel. This programming addresses both the academic and behavioral needs of students, including students impacted by trauma; improves school climate; and reduces disruptive behavior in the classroom. Update: The House budget includes this funding. We encourage the Senate to support this funding in the budget agreement. Check back to this page for weekly updates. Bills seek to disrupt “school-to-prison pipeline” – Associated Press: Jan. 16, 2018. Note: This AP story ran in papers and news outlets across the country, including The Washington Post, The LA Times, The Seattle Times, The New York Daily, Sun Sentinel, My San Antonio, Emporia News, Fredericksburg Free Lance-Star, Herald Courier, the ACLU website, and many others.